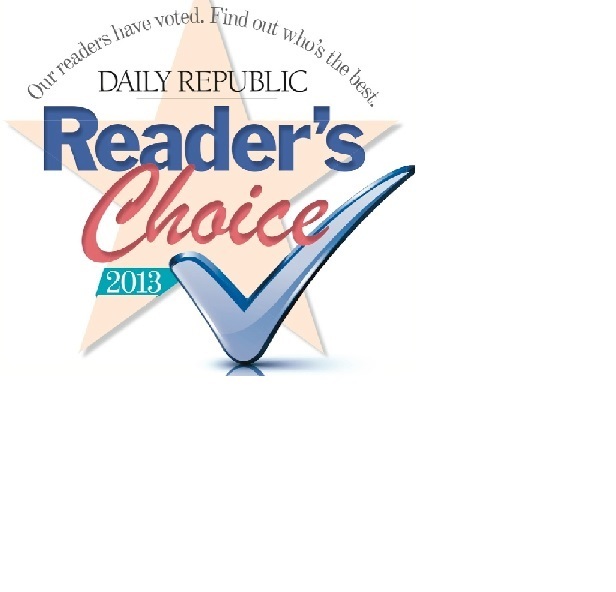 Our Customers Named Us Solano County's BEST SMOG SHOP in the Daily Republic's 2012, 2013, 2014 and 2015 Readers' Choice Survey. 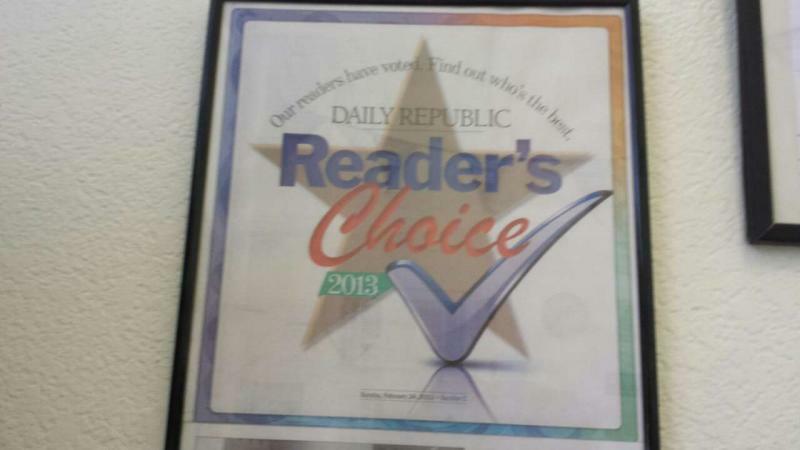 Four Years in a Row! 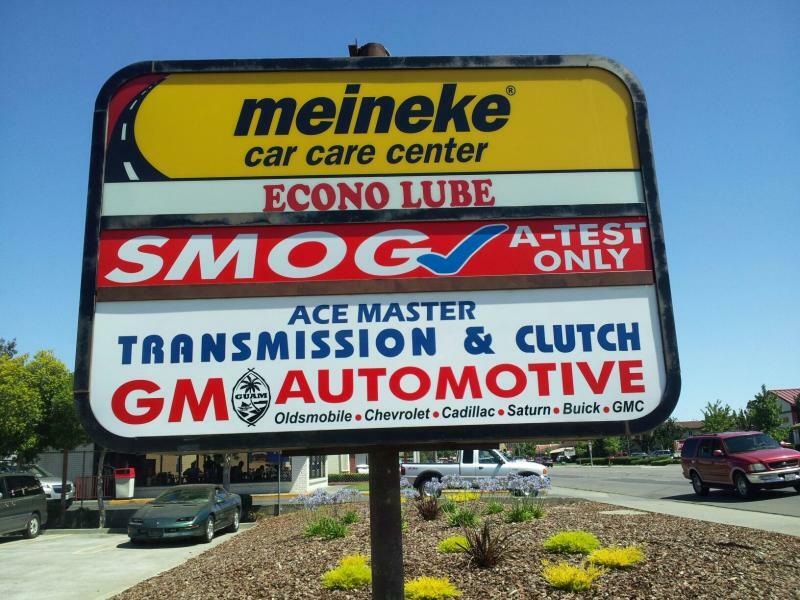 The only smog shop in north california has achieved this milestone. 2015 is our 12th year in business! The Only smog shop has been so long in county! 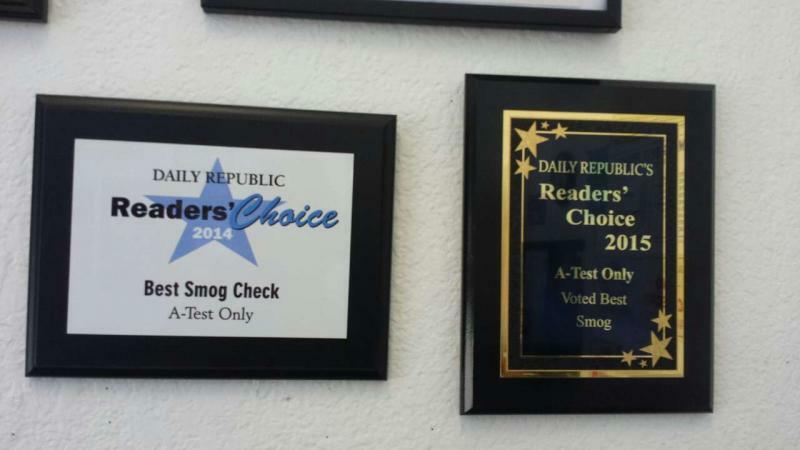 Over 100 auto technicians & over 12 auto dealers (new and used) choose us to do smog test! 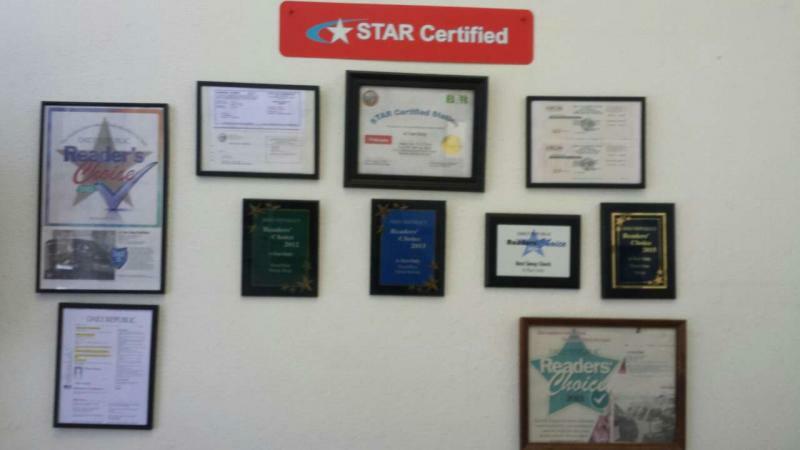 We are proud of our service in excellence and will continue to serve you best in smog check. 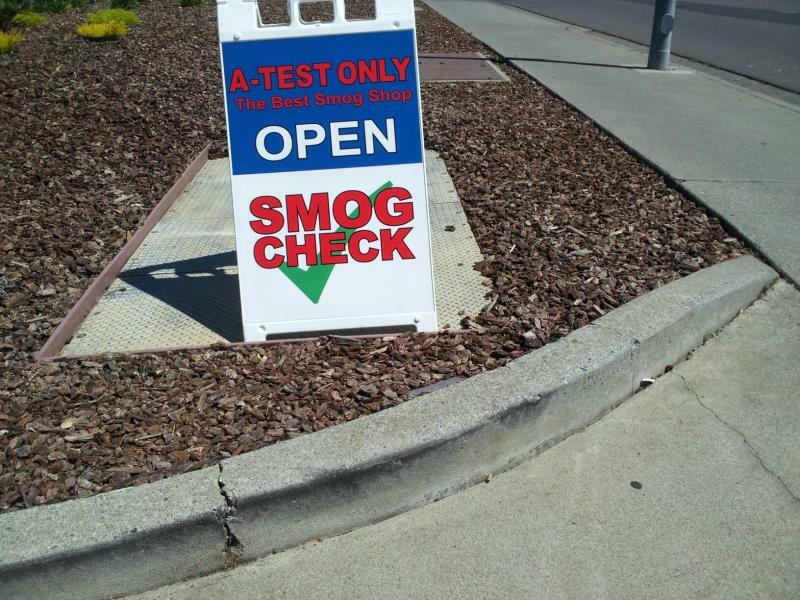 We are the only smog shop in Solano county with 3 bay and three testing instruments at one site. Come in and enjoy our climate controlled waiting room with Fast and friendly service! A TEST ONLY FAIRFIELD is located in Fairfield, California. Key words: Smog, smog test, +smog inspection, smog check, smog shop, star smog stations, smog inspection, smog inspection station, test only, smog check Fairfield, star station, 94533. 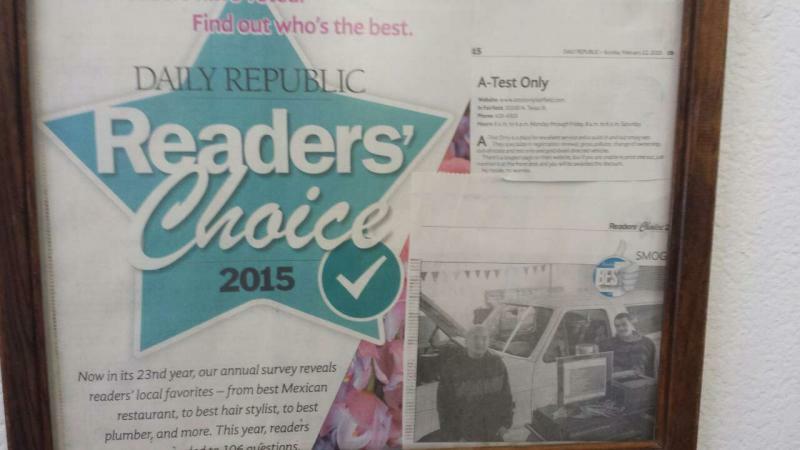 BEST SMOG SHOP IN THE 2012, 2013, 2014 & 2015 DAILY REPUBLIC READERS' CHOICE SURVEY! We service all types of vehicles including diesels! Copyright 2019 A Test Only Fairfield. All rights reserved.